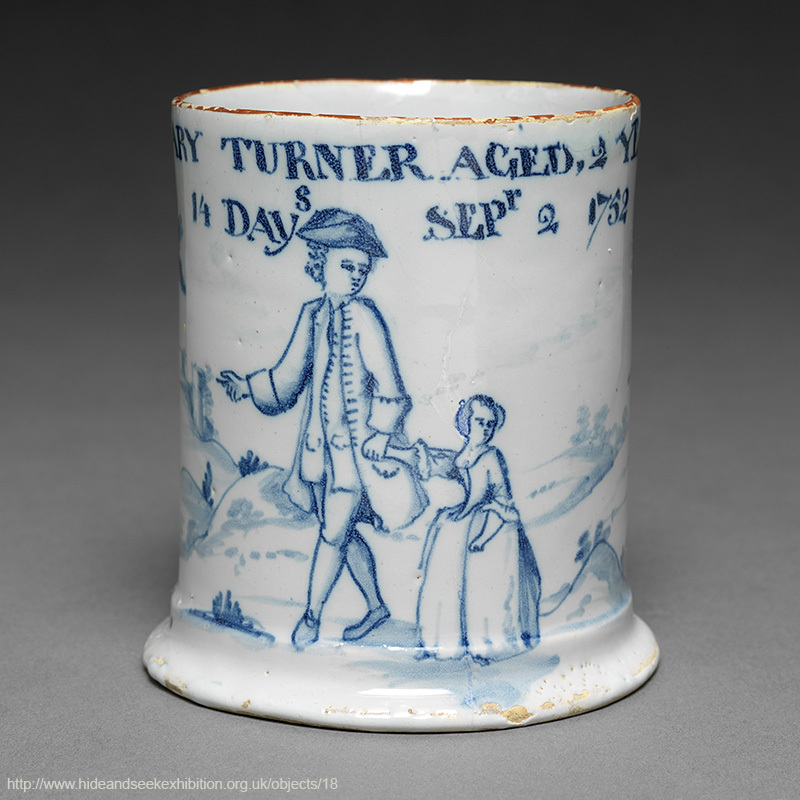 Painted on this Delftware mug is an image of a father holding the hand of his young daughter. At the top is written: Mary Turner Aged 2 years 14 days Sepr. 2 1752. Could this be the date of her baptism, or perhaps the day she died?